Noah Eli Gordon is the author of The Frequencies (Tougher Disguises, 2003), The Area of Sound Called the Subtone (Ahsahta Press, 2004), and the forthcoming A Fiddle Pulled from the Throat of a Sparrow (New Issues, 2007) as well as numerous chapbooks, reviews, collaborations & other itinerant writings. Currently teaching at the University of Colorado at Denver, his most recent publication is That We Come To A Consensus, a chapbook written in collaboration with Sara Veglahn and published by Ugly Duckling Presse. 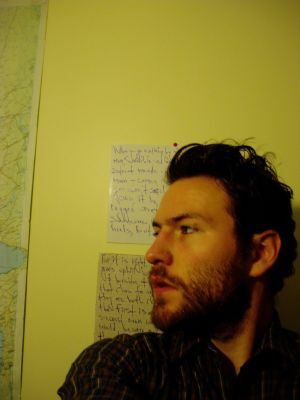 Joshua Marie Wilkinson's most recent book, Lug Your Careless Body out of the Careful Dusk, is due out from University of Iowa Press next month as winner of the 2005 Iowa Poetry Prize. He is also the author of the recent chapbook, A Ghost as King of the Rabbits, and the book-length poem Suspension of a Secret in Abandoned Rooms, based on an imagined correspondence between Egon Schiele and Ludwig Wittgenstein, which was released last summer. 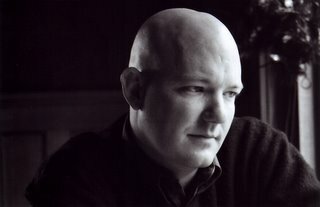 Born and raised in Seattle, Wilkinson holds degrees an MFA in poetry from University of Arizona and an MA in film studies from University College Dublin. 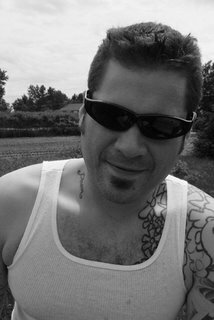 His writing has appeared or is forthcoming in 14 Hills, Meridian, Burnside Review, Eye Rhyme, Phoebe, CutBank, and Backwards City Review. His first film, a tour documentary about the band Califone entitled Made a Machine by Describing the Landscape, is due out from Thrill Jockey Records later this year. He makes his home in Denver, Colorado, where he teaches literature and writing, works as an editor for the Denver Quarterly, is finishing an anthology, and is completing a doctorate in English and creative writing. His new book of prose poems, entitled With Children on Your Back through the Collating Light, is nearly complete. Jake Adam York is the author of Murder Ballads, selected by Jane Satterfield for the Fifth Annual Elixir Press Awards Judge's Prize. His poems have appeared in Shenandoah, Oxford American, Greensboro Review, Gulf Coast, New Orleans Review, Quarterly West, Diagram, Octopus, Southern Review, Poetry Daily, and other journals as well as in the anthologies Visiting Walt (Iowa University Press, 2003) and Digerati (Three Candles, 2006). His work has been twice nominated for a Pushcart Prize and has placed in numerous competitions including the 2004 Campbell Corner Poetry Prize contest, the Academy of American Poets Walt Whitman Award, the Samuel French Morse Poetry Prize, and others. York is an associate professor of English and Creative Writing at the University of Colorado at Denver and Health Sciences Center in Denver, Colorado, where he directs an undergraduate Creative Writing program and produces Copper Nickel with his students. York is also a contributing editor for Shenandoah, a co-editor of the online journal storySouth and a founding editor of Thicket, an electronic journal dedicated to Alabama writers and Alabama writing. His work of poetic history, The Architecture of Address: The Monument and Public Speech in American Poetry, was published by Routledge in 2005. His scholarship has appeared in The Walt Whitman Quarterly Review, and his literary essays have appeared in Shenandoah and Florida Humanities Review. Hey there. I need information on cleaning!